A magic way to entertain your child's mind! This brightly coloured Unicorn Action Bend-deez can bend in all sorts of silly ways thanks to its extra-poseable soft rubber limbs! 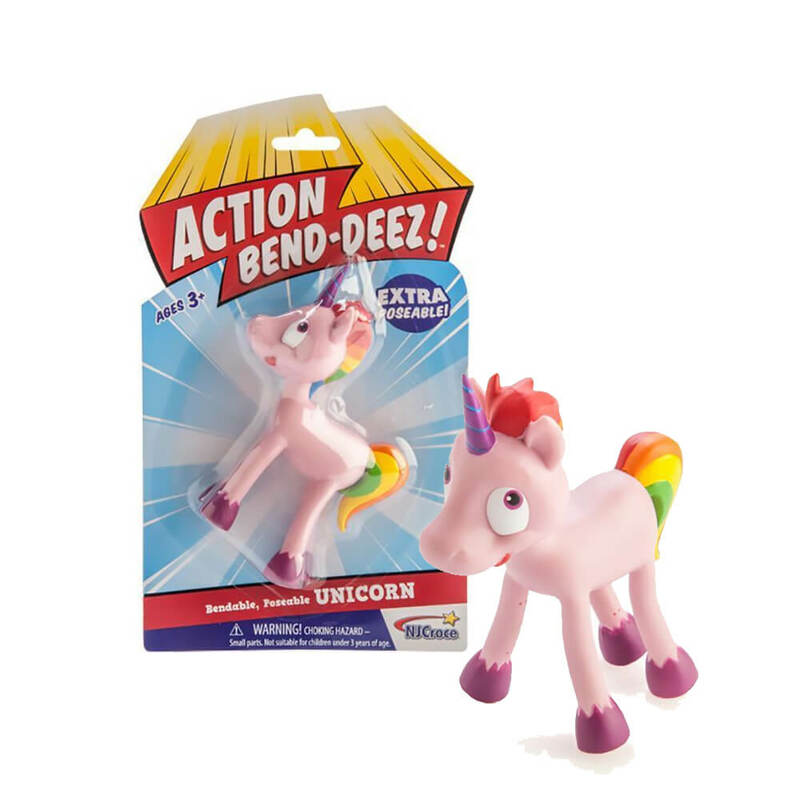 Fitting perfectly in the palm of your hand, you'll love your Unicorn's cheeky grin as you pose him in as many different ways as possible. It's a brilliant tool for children seeking tactile input, and acts as a boredom buster when times are tedious! 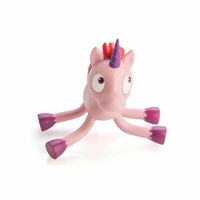 Your young unicorn lover will light up with excitement to find this goofy guy in their Christmas stocking or party bag! Made with safe, nontoxic PVC bendable material. Dimensions: 8.5cm (l) x 3.5cm (w) x 11cm (h).